Incorporating a bright color like yellow into your space can be intimidating. To put it simply: the shade is so confident that you may be tempted to rework the entire room in order to fit in one sunny piece. But don't be bothered! In minimalist quarters, yellow should be a go-to accent shade, since it complements the abundance of light that often coincides with this design choice. Plus, it adds a welcome contrast against neutrals and pairs well with natural wood elements. Still having reservations? Take a look at the 10 pieces below, which range from a pillow and end table to a shower curtain and handmade rug. Once you see how this cheerful hue acts as an ideal highlight, you'll gravitate toward it for every room in your home. 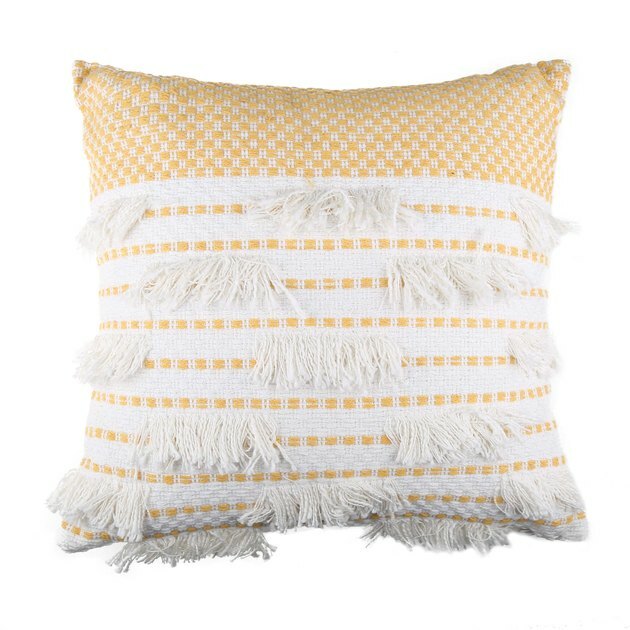 This woven, fringe chennai throw pillow from Bed Bath and Beyond ( $29.99 ) will add a dose of sunshine to the more neutral pillows on your couch. And since the yellow on this pillow is on the muted side of the spectrum, you'll be able to keep it on display all year long. 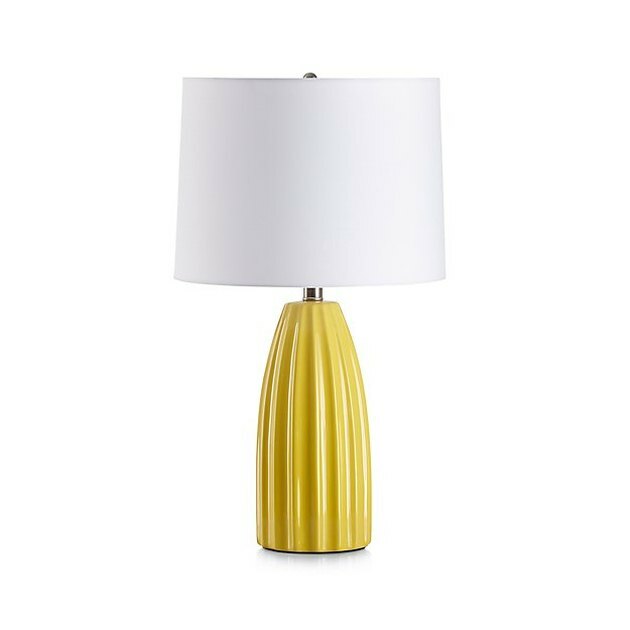 You can easily brighten up your bedside table with this golden yellow lamp from Crate and Barrel ( $99.95 ). Since the base has a bright shade and tons of texture, keep all of the other elements on your nightstand simple. 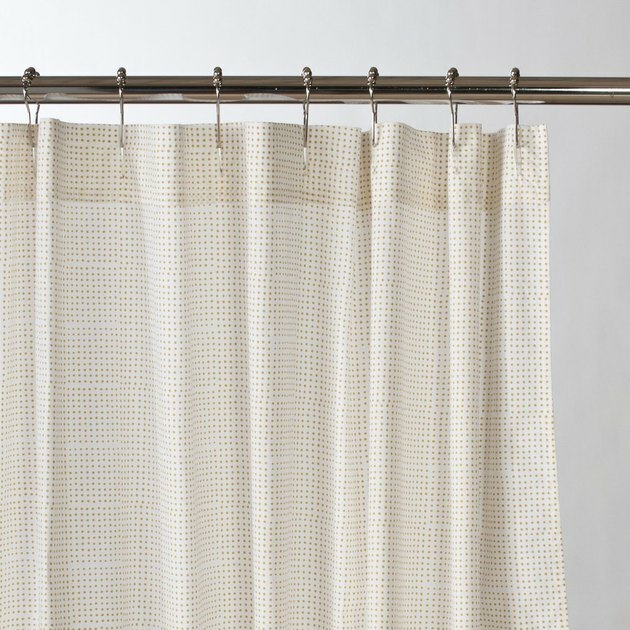 The subtle hand-painted pattern on this yellow dot shower curtain from Schoolhouse Electric ( $54 ) will add just enough color to your bathroom without making you feel like you have to switch out everything else to match. 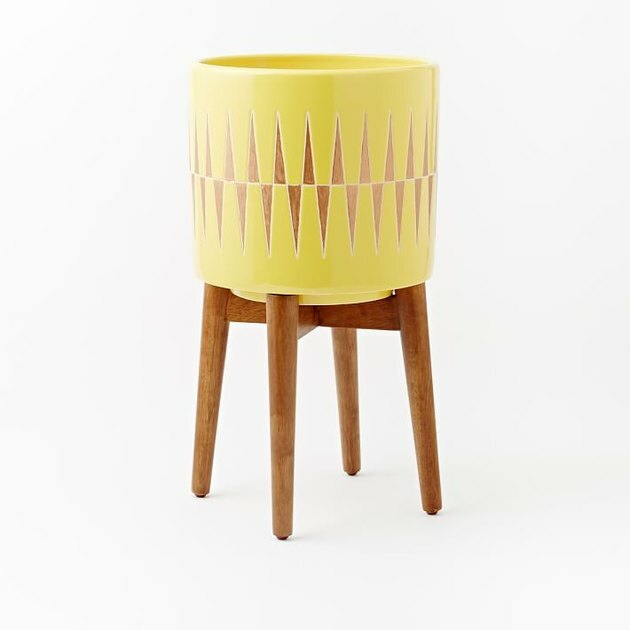 This end table spotted on Wayfair ( $80.99 ) will liven up your living room in an instant. Add a stack of your favorite books, a vase of fresh flowers, and a pretty scented candle to create a covetable vignette. The geometric shapes and tassel border on this handmade rug from Gilt (starting at $55 ) will add color, pattern, and texture to your living room. Pair it with a simple wooden coffee table in a light shade, and this piece will get the spotlight it deserves. 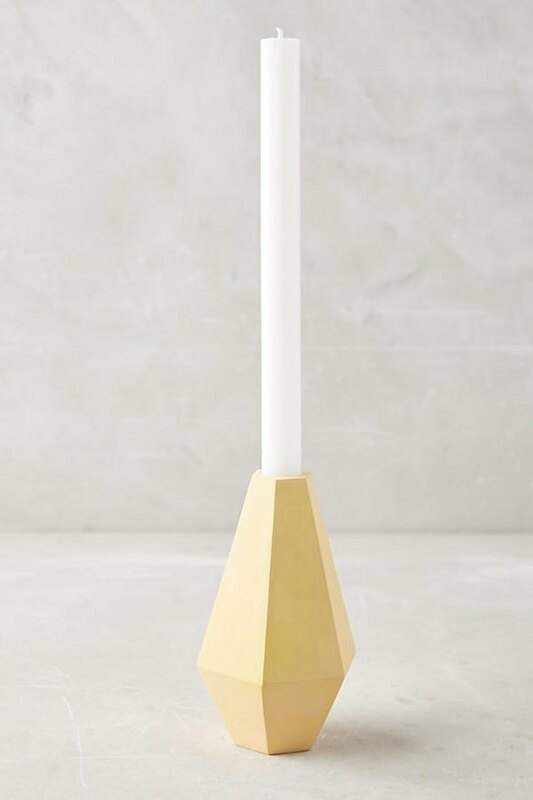 Group a few of these candle holders from Anthropologie ( $36 ) on your mantel to add height and visual interest to that space. 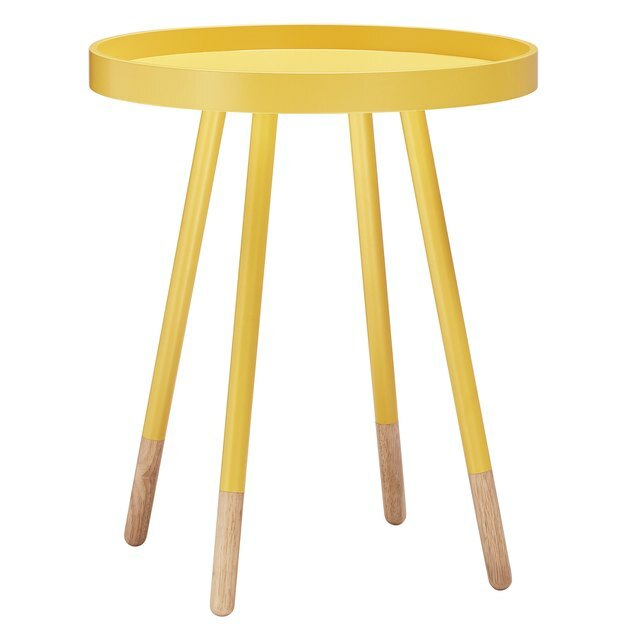 A few succulents would work well with the shape and shade of this particular yellow item as well. 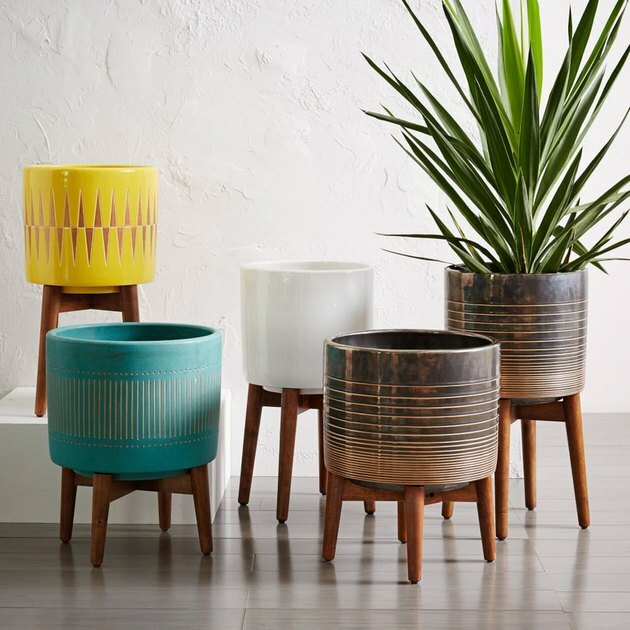 Make your entryway come alive with this wood leg planter from West Elm ( starting at $169). Add a self-sustaining plant, so you won't have to worry if you forget to water it on your way out the door. 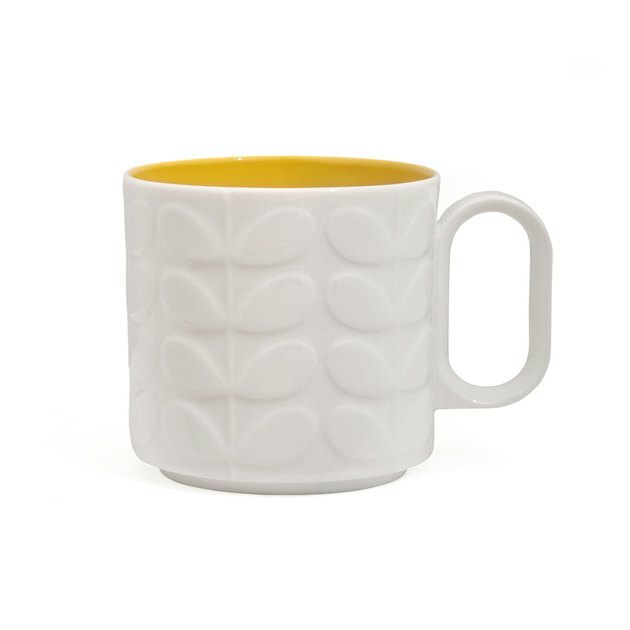 This raised stem mug that's listed on Amara (about $15 ) is proof that you don't need to fully commit to this color to make it work. 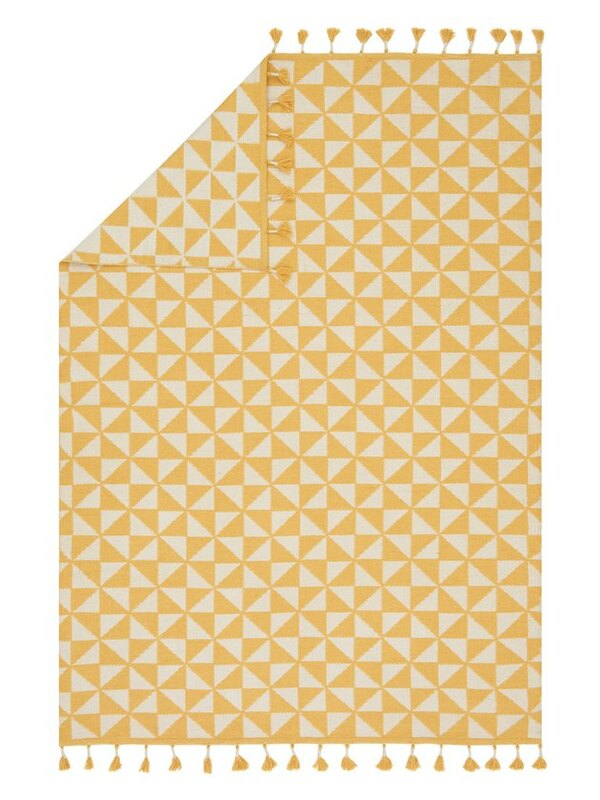 Hang a few of these in a row on a kitchen shelf, and the inner yellow accent will act like a clever wink of the shade that can be seen from most of the room. 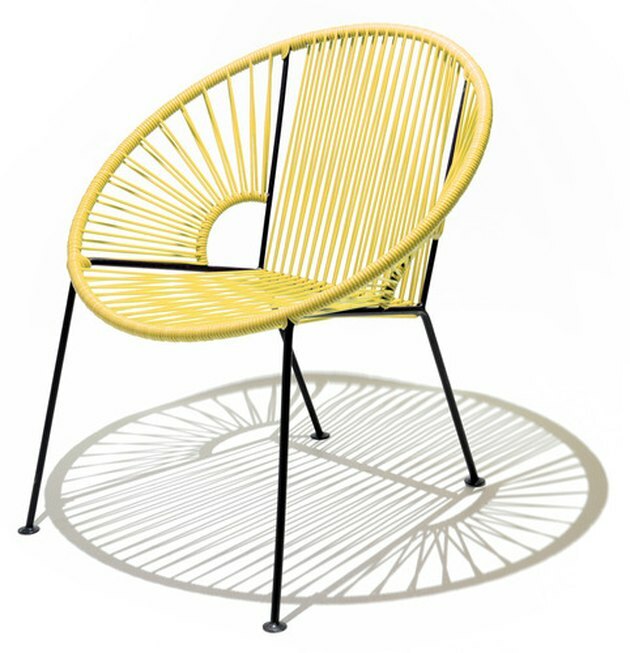 Create an eye-catching reading nook in your living room by placing this lounge chair from 2Modern ($300) near a sunny window. Better yet, group two together for an unexpected addition to your neutral couch. 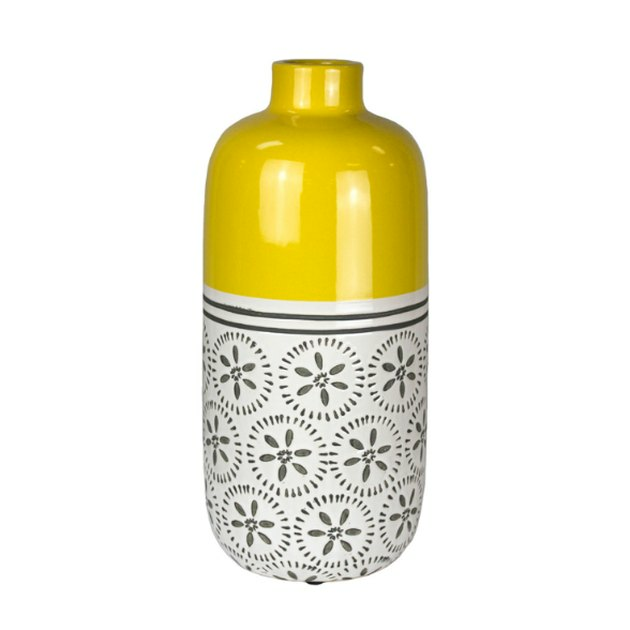 Keep a bouquet of fresh flowers in this ceramic vase from Bellacor ($33.95) as a fresh addition to your bedroom. The contrast between the bright yellow top and the black-and-white stamped pattern on the bottom will add a simple but engaging detail to a clean-lined dresser.